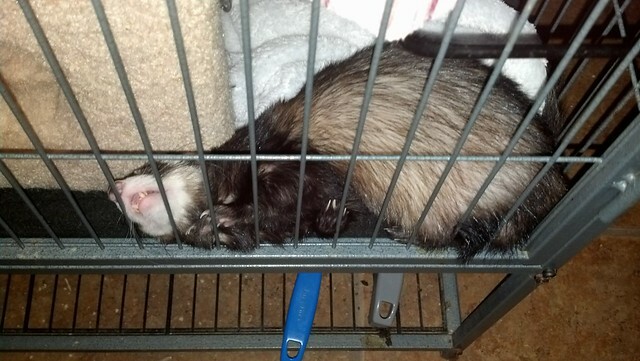 In addition to my dogs and cat (in my re-intro thread), I share my home with four ferrets and three mice. 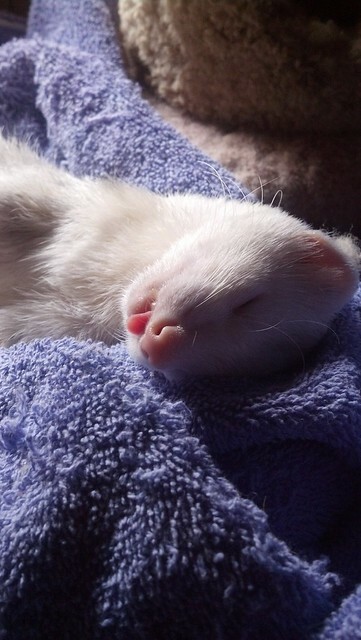 This is the ferrets' thread. Loki: Loki is about 4 or 5 (I honestly don't remember) and is around 2.5 lbs. 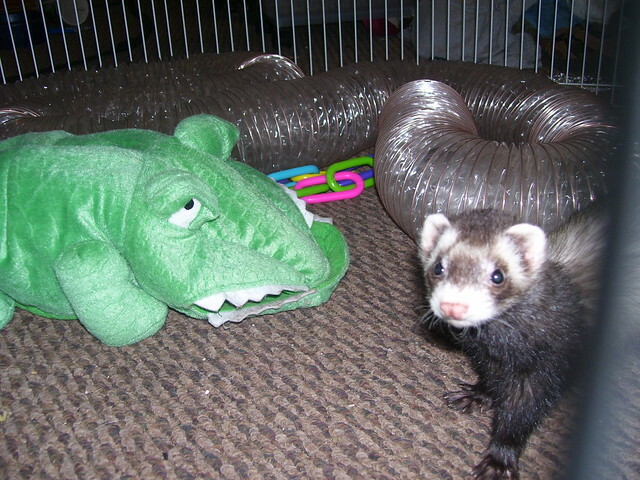 He's the first ferret I've ever had, and the sweetie of the bunch. He gives kisses, especially if you have chocolate on the breath. He is very good, doesn't poop out of the litter box, and generally doesn't do anything naughty. He's perfect. 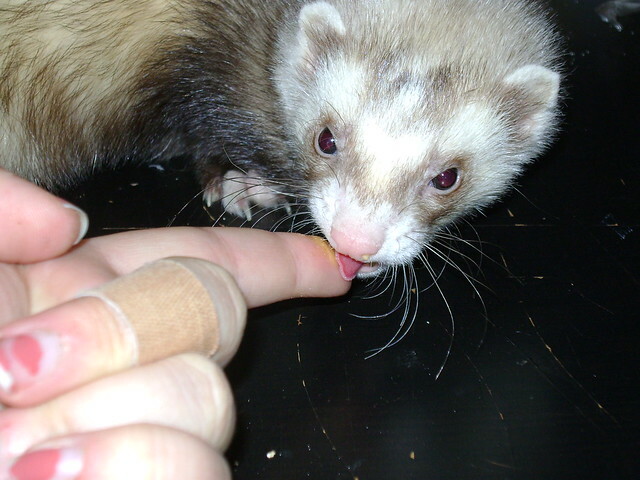 Asher: Also known as Asshat, Asher is the same age as Loki and is a jerk. He's not mean, but he's just... difficult. Asher is always doing things like crapping in the clean beds, throwing fresh, raw meat in the litterbox, and generally making messes. He also bites ankles if you don't pay attention to him. Asher is deaf and approximately 3lbs. Juno: the girl of the bunch, Juno is a firecracker. She's barely 1lb and can take down her brothers with very little effort. Juno is sweet, and also a very good girl. She and Loki are buddies. I don't know her age, as she was found as a stray. I assume she's around Loki's age, maybe 6 months younger. Rufus: Oh Rufus... Rufus is... special. He's the latest addition, rescued last year. He's about 3.5lbs and I think 2 years old. Rufus does not understand things like using litterboxes and keeping kibble in bowls. He digs the kibble out and then poops on it. *sigh* But he's a very sweet, fat guy who loves to play "grabby hands" (that is, I pretend to grab him and say "rawr" and he dooks and freaks out).